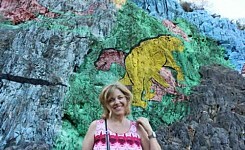 Globe Aware trips to Cuba are 7 days 6 nights, Saturday to Friday. Travel with Globe Aware on a people-to-people license and explore this amazing culture at this critical time in history! Does a travel warning mean it is illegal to travel to a country? No. 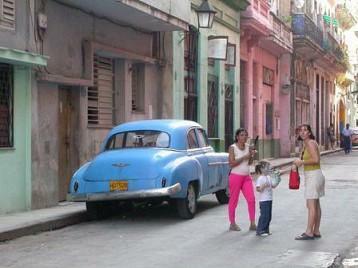 It is only illegal to travel to Cuba as a tourist. An official “Travel Warning” is used when the government wants travelers to consider specified risks in making travel decisions. Cuba Policy – what changed in summer of 2017? As of 2017, among the biggest change is that the President is ending individual people-to-people travel. Financial transactions to any government entity are also generally prohibited (such as staying in hotels). Individual people-to-people travel is educational travel that: (i) does not involve academic study pursuant to a degree program; and (ii) does not take place under the auspices of an organization that is subject to U.S. jurisdiction that sponsors such exchanges to promote people-to-people contact. In June 2017 the President instructed Treasury to issue regulations that will end individual people-to-people travel. Travelers who fail to comply with these regulations are subject to penalties and criminal prosecution. Globe Aware group people-to-people travel is! Group people-to-people travel is educational travel not involving academic study pursuant to a degree program that takes place under the auspices of an organization that is subject to U.S. jurisdiction that sponsors such exchanges to promote people-to-people contact. Travelers utilizing this travel authorization must:(i) maintain a full-time schedule of educational exchange activities that are intended to enhance contact with the Cuban people, support civil society in Cuba, or promote the Cuban people’s independence from Cuban authorities, and that will result in meaningful interaction between the traveler and individuals in Cuba; and (ii) be accompanied by an employee, consultant, or agent of the sponsoring organization, who will ensure that each traveler maintains a full-time schedule of educational exchange activities. 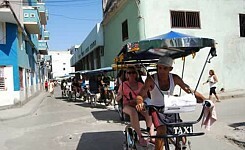 In addition, the predominant portion of the activities engaged in by individual travelers must not be with prohibited officials of the Government of Cuba or prohibited members of the Cuban Communist Party (as defined in the regulations). Put in other words, US Citizens going to Cuba without a licensed people-to-people organization, or who go and spend their time on the beach put themselves at risk of criminal prosecution with the US federal government. This also means US citizens going to Cuba are not permitted to add tourist and leisure excursion on to their people-to-people experience (such as going to Varadero beach). Although home to more than 11 million people, Cuban culture has been shrouded in mystery to most North Americans because of prolonged economic and political strain between the United States and Cuba. 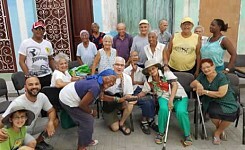 The Care for Cuba program pulls back the curtains on this Caribbean culture and gives volunteers a clear look at the beauties, struggles, and determination of the Cuban people. 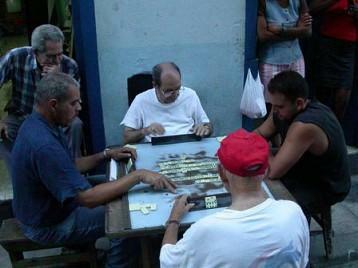 Cubanos are proud, educated, and often quite happy to share opinions. 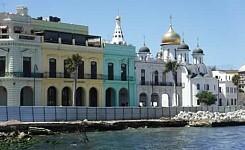 Isolated for years due to the “blockade” (as Cubans refer to the embargo the US imposed against the Communist state), their culture has been influenced by m cultures, none perhaps as heavily as Spain, Africa and the United States. Full of music, derelict buildings, joy and sorrow, the country offers few material pleasures but immense humanitarian rewards. 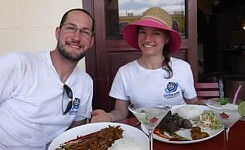 Globe Aware’s mission is to promote cultural awareness and sustainability. Cuba itself, due to its low infant mortality, high life expectancy, access to education, medical care, and human resources, generally takes the view that they are not in need of volunteers. 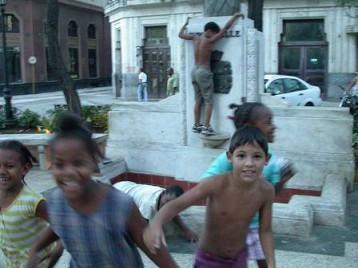 The official stance of the Cuban government is that their economic issues stem from the embargo, which they refer to as “the blockade.” Hence unlike most Globe Aware programs, while we engage in three work projects throughout the week, we focus more time than usual on the people-to-people cultural awareness part of our mission. 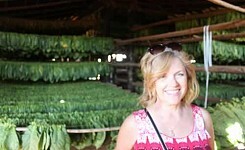 You will get fantastic insight into how social issues are being addressed in terms of education, medical care and the like, and get a deep understanding of the real beauties and challenges of the Cuban culture. 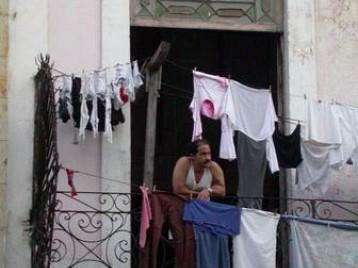 Located in the historic center of Old Havana, a 2-minute walk from the capitol and 10 minutes from the Plaza Vieja is your casa, in a neo-classical building from the 1920s, still retains the original floors, doors and windows, air-conditioned rooms and private bathrooms, kitchen, living room and balcony overlooking Old Havana. A typical Casa Particular room consists of two beds and an attached bath. Volunteers can expect to share their room with one other volunteer. 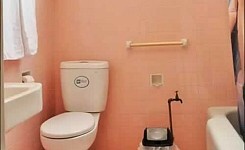 If you would prefer a single room, this can be arranged for an additional cost of $275. 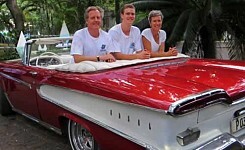 *Because of the extraordinary interest in Cuba, we cannot guarantee the exact Casa particular where you are staying. The sooner you book, the more likely you will be housed at the main, central casa particular where our operations are based. The later you sign up, the more likely you be booked at a nearby casa particular with very similar standards. Elderly Center: The elderly in Cuba generally have housing, food and healthcare provided, but otherwise do not have much offered to them. Globe Aware works with one of the government elderly centers to help provide activities that fall into one of these categories: rehabilitation, cultural or general amusement. They are eager to interact with our participants and visiting the center has been the highlight for many program participants. Club de Madres: There is a group of about 15 mothers of children with Down Syndrome that meet on a regular basis. We meet with them to engage in a variety of activities, from working side by side at our other project sites to doing recreational and physical activities such as parachute games. Art is something that brings the group together and a project that we try and incorporate with our time together during your volunteer week. 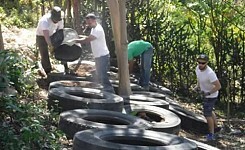 Environmental: This is a community project that was founded by a villager across the channel from Havana. He brought the entire community together to first stabilize the hillside above their village by planting various trees after a damaging landslide. He noticed how this brought the community together and started to expand the project by planting many medicinal plants, cooking herbs, fruit trees, etc. They now host educational sessions for students and villagers to learn about the benefits of all the different plants and encourage and teach them about urban/backyard gardening. 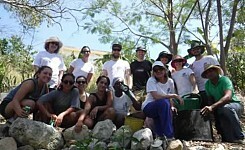 Volunteers join this site and help with a variety of different projects. At the moment, we are working on building up the infrastructure to help the project become self-sustaining. 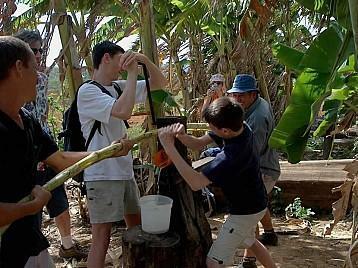 We have built a coconut stand where they can sell coconuts to tourists and volunteers; built pathways to explore the hillside, constructed shaded areas and benches when hosting classes and are currently working on setting up a small kitchen to sell fresh meals. The funds go directly back into the project and helps Mr. Rojas continue to provide classes and community events at the project site. The below itinerary constitutes a full-time program of activities undertaken in Cuba pursuant to the “People to People” license of the United States Department of Treasury Office of Foreign Assets Control. You may also travel to Cuba under a specific license issued to you or your educational institution through the Office of Foreign Assets Control (OFAC). 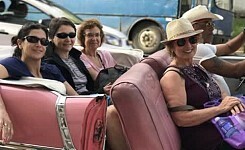 If you are a U.S citizen, you are responsible to understand how you can legally travel to Cuba. You can also consult the US Department of the Treasury. This program is situated amongst beautiful, but out of repair cobblestone streets. Old Havana has not been updated to accommodate ramps and elevators, therefore participants should be able to walk uneven surfaces, up a ramp of stairs, and be able to walk for 10 to 15 minutes at a time several times throughout the day. Because it is a tropical environment, some volunteers may find this overly strenuous. We have had 7 year olds on the program who loved it and we have had an instance of a teenager who felt it was too much, so it is worth gauging the personality and fitness of any participating children. At the end of the day it can be akin to how one might feel after spending a half day at an amusement park or fair, in terms of walking. The above itinerary is subject to change, depending on availability and/or program scheduling. Unlike the majority of our programs, some meals are on your own. From years of experience we have learned that participants greatly prefer this option because of the huge and safe variety of meals in paladares that are available. Your on-site coordinator is always happy to make recommendations should you want them. Please note: We are not able to offer minor or group discounts for this particular program. 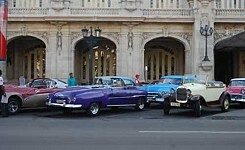 Changes in the United States Cuba travel policy are being announced in September of 2017 that will bring some changes to the itinerary and may also change the cost. If this happens after you have registered for your program, you may choose to transfer your entire program fee to any other program of your choice OR pay the increase in fees to cover any new required permits or required change in accommodation. Call our office to talk this over in more detail. We do not recommend arriving before the program begins. The schedule will include things that you would likely do on your own for the first day or two, so you will likely be duplicating activities, as we cannot change the schedule for those few that decide to come a couple of days early. There are now many options available to you when looking for flights into Cuba. We recommend doing a general search online with an airline search engine to see your options. Remember that you are traveling under a people to people license. You will typically need to select this during the ticket purchasing process. Some airlines refer to it as an educational/people-to-people license. Others may only ask if you are traveling under a General License, which the people to people license falls under. The first and last day of the program are scheduled for arrival and departure, meaning that you can arrive at any time and someone will be there to meet you at the airport or drop you off. The first scheduled activity of the program will be orientation and dinner on Saturday night. We recommend arriving prior to 6 pm to make those activities. 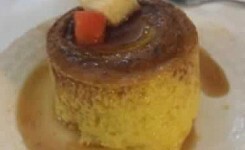 The last scheduled activity will be breakfast at your casa particular. Check out is typically around 11 am. Regardless of how or where you are flying into Cuba you will need to obtain a Cuban Tourist Card, also sometimes referred to as a visa. Each airline handles this a bit differently. Many US based airlines partner with Cuba Travel Services for obtaining a tourist card. You should receive an email from your airline instructing you on their recommended method. For a quick and easy answer, each airline has a landing page with information relating to travel documents for Cuba and their recommendations. If you choose to apply for you visa online with Cuba Travel Services, the cost comes to $85. Please feel free to call our office if you have any questions regarding airfare in and out of Cuba. 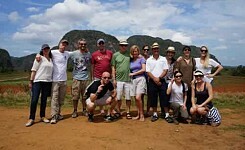 English speaking, tour guide to accompany the group throughout the touring period. All breakfasts, 2 dinners, 2 lunches. Coordinator can provide you with lots of recommendations. 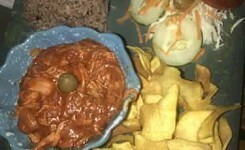 Havana has plentiful options for safe, healthy, clean, tasty restaurants and private paladaors within walking distance of your ‘casa.” Many options from $2 to $20 per meal. The price herein contained may be subject to increase by reason of an external event or set of circumstances not reasonably foreseen when the contract was agreed and beyond our control. Such circumstances may include but are not limited to unannounced airplane ticket price rises, which affect travel or availability of travel to the host country. We cannot accept any responsibility for such increases that may occur but will endeavor using all reasonable efforts to mitigate any such increases as is possible. Subject to approval, you will be traveling under a general license to travel to Cuba from the Office of Foreign Assets Control (OFAC) of the US Treasury Department. We reserve the right to cancel this program in the event that our participants’ and staffs’ safety and security is in jeopardy. In the event that we decide to cancel the program for reasons beyond our control (which term will be defined as any acts of government, war, revolution or natural disaster in the destination country, which as agreed between the parties herein will prevent us from organizing a program consistent with our program standards at any time prior to the departure date, we will refund to each participant all payments received, but cannot accept responsibility for any losses incurred to any participants by this cancellation although we will make every reasonable effort to assist the passengers in recouping their losses.